5 Easy ways to reach your fitness goals. Setting goals are easy. Achieving goals is hard. Many people set all kinds of fitness goals every year, yet many of the goals are not met. Here are some sure fire ways to help you reach your fitness related goals. To start off you need a goal. Many people choose weight loss at a standard fitness goal. But it can be anything, build muscle, run a marathon, do a chin-up, anything you want. For our example we will choose the goal to lose some weight. Once you have the idea you need to refine it. Refined Goal: Lose 10 pounds by February 1st. Our refined goal is very specific and measurable and realistic. The time line from now (Nov 5th) until February 1st is quite realistic. When losing weight you want to shoot for between 1 and two pounds a week. Any more than that and it gets harder to take off and even harder to keep off once the goal is met. Set up to 3 short term goals that will help you get to your long term goal. 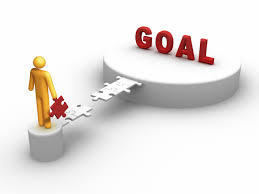 Setting process orientated goals will make achieving the goals even more easy. For example, many people would set the goal to lose a pound a week as a short term goal. 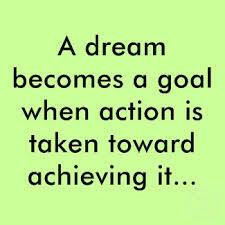 While that is a good goal, what happens if you don’t achieve it? Will you be discouraged? There are so many factors that involved in that even if you do everything correct you may not achieve that goal because you don’t have ultimate control over it. The best type of short term goals to set at first is the small processes that you have complete control over. For a short term weight loss goal I may encourage my clients to do 15-20 minutes of cardiovascular activity 2-3 times week. This totally achievable and it will make you feel so good once you accomplish the goal. you have complete control if you go to the gym for some cardio, go for a walk, take class or whatever. And the list goes on. As long as you have complete control over the goal and it will help you get to your long term goal than it can be added in. Every few weeks sit down and look at the short term goals you set. Did you achieve them, why or why not? How did you feel when you achieved them? 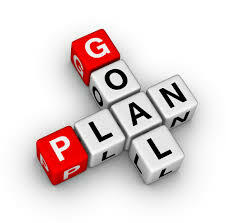 Now that you have seen what has worked you can change, modify or increase your short term goals for the next few weeks. Small changes or increases here are going to work best. Try increasing your cardio by another 5 minutes or add in an extra cardio session that week. Or you could increase you veggie intake even more, decrease junk food a bit more and so on, the list is endless. Evaluate what is working and what is not working. Make any small changes necessary to keep yourself on track until you reach you goal. If you stop working towards your goal you will never get there. If you are not working towards your goal than it isn’t really a goal, it is more like a dream.